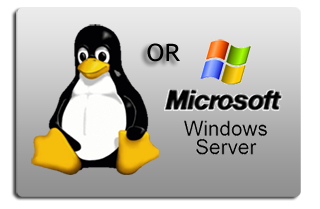 VPS Cloud | Windows | Linux | HSphere Reseller Hosting | Business Grade Hosting | Webcore Labs Inc. Since 1999 Webcore Labs has provided business grade hosting focusing on performance and reliability, furthering our obsession with client satisfaction and support. Offering a range of hosting for business and enterprise - from fully clustered Linux shared hosting to high performance XenServer based VPS Cloud solutions. Our infrastructure utilizes high performance Enterprise Grade hardware and software solutions - no desktop grade components. We offer fully managed solutions only, that include 24x7 monitoring and response, managed backups/restores, along with our team of highly qualified Level 3 team providing one-touch support. Webcore Labs service provides superior performance, support, Enterprise Grade RAID 10 SAS storage, email, quality bandwidth providers and management features. Each account includes a web based control panel to help you manage your email accounts, traffic reports, passwords, databases, spam filters, file security, and more. Whether you require business grade clustered shared hosting, high performance clustered VPS Cloud servers, or PCI compliant solutions - Webcore Labs has both the solution and the experienced staff to provide the correct solution for your needs. We pride ourselves in personalized customer support. Knowledgeable hosting professionals are standing by to help you setup your business or organization with a web hosting package, register a domain name or answer any questions you may have. Contact us today and find out what Webcore Labs can do for you.